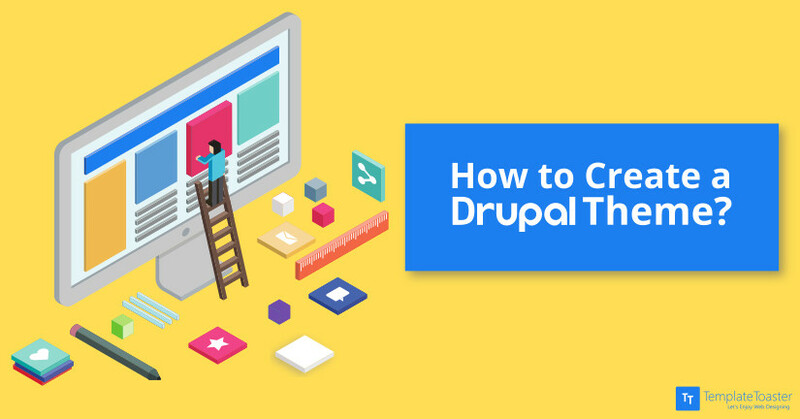 Creating a Drupal theme may seem a worrisome task but you easily get through it once you come across the right resource. 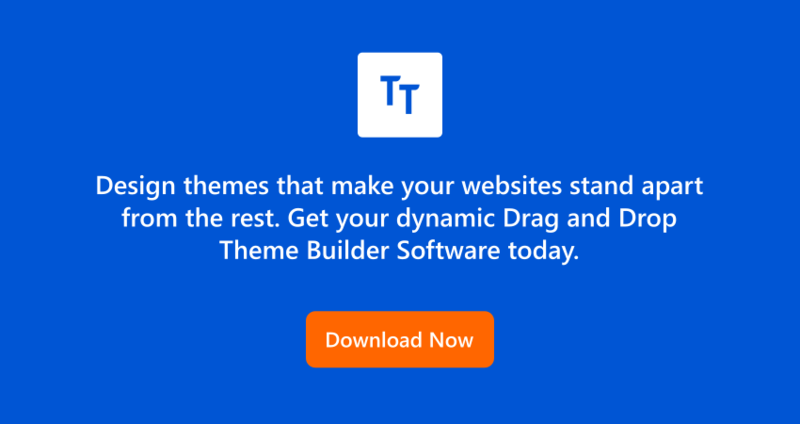 Here’s what all you need to know to create own Drupal theme. 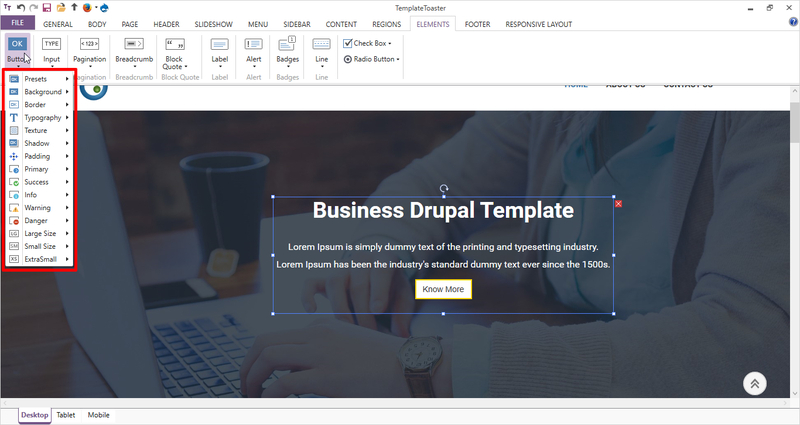 Drupal is an amazing open source Content Management System as well as a customizable platform to create anything from a personal blog to a corporate website. Drupal offers many native features. 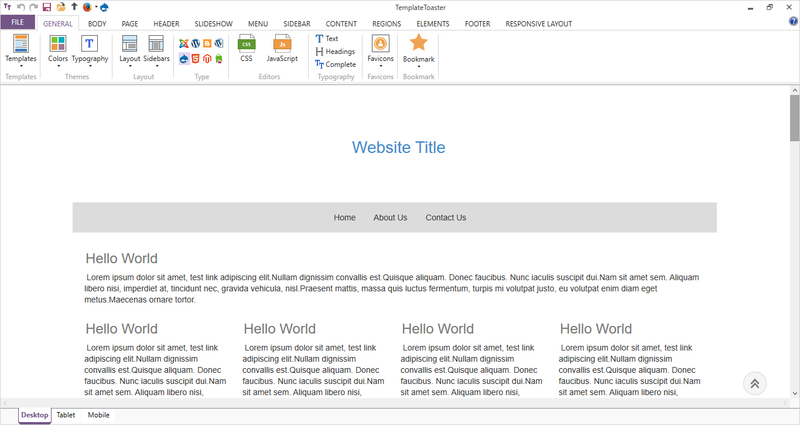 It is a preferred choice for developers and designers to create themes. A Drupal theme gives you an opportunity to come up with an SEO and mobile friendly website. You can create your own custom Drupal website theme to entice your customers with minimum efforts. 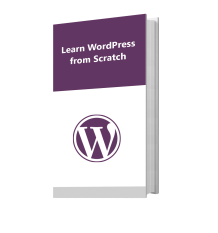 How to Create Drupal Theme from Scratch? 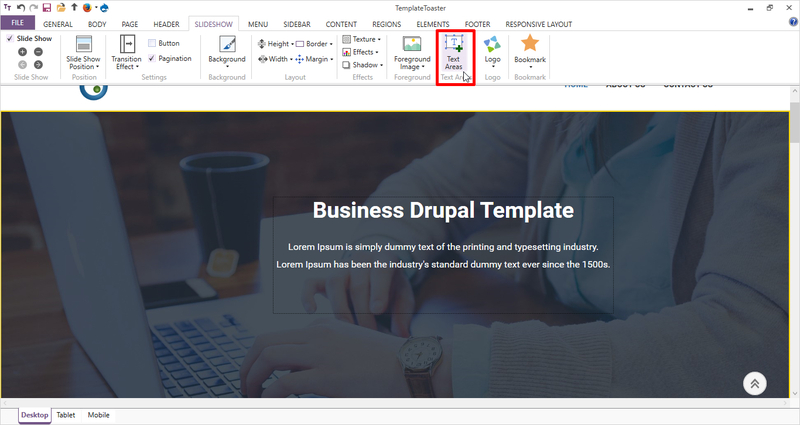 Step 1: The first step is to create a theme folder in Drupal 8 where your theme will reside, a .info.yml file and libraries file. Create a folder in the /sites/all/themes directory. Name your folder themename, all lowercase. Create a file named themename.info.yml, inside ‘themename’ folder. 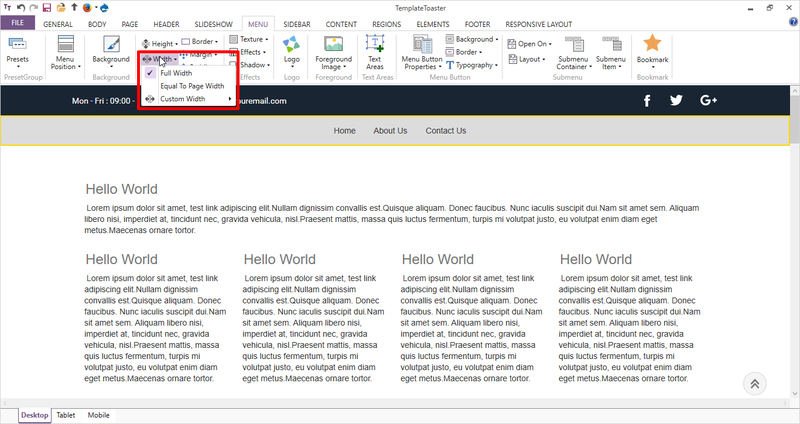 Describe the site information in it using text editor like Notepad. Create a file named themename.libraries.yml, inside ‘themename’ folder. Define all the css and js to be used. *dependencies: Add dependencies only if required. Add the CSS and Js files defined in themename.libraries.yml. Here, you can see an example style.css. You can design it in your own unique way. 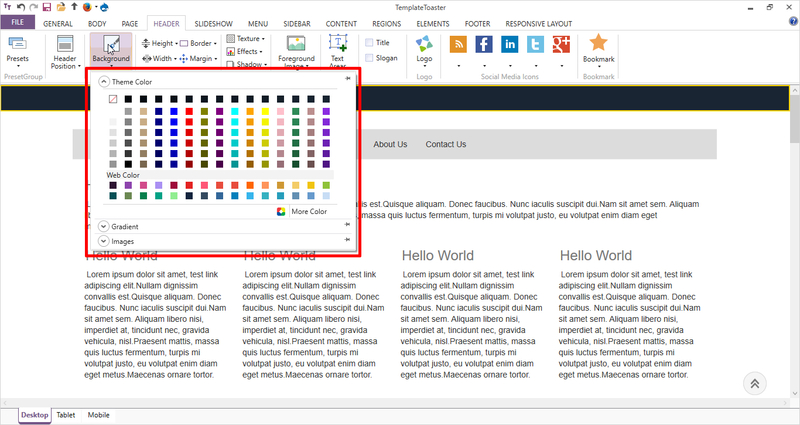 The code simply sets the content background color, width, and margin of the navigation bar and so on. It tells about styling the text of sidebars, footer, navigation bar. You can give a unique touch to different elements of content through a stylesheet. You can also add more stylesheets as per your needs. That’s it. Now, you have your own custom Drupal 8 theme. 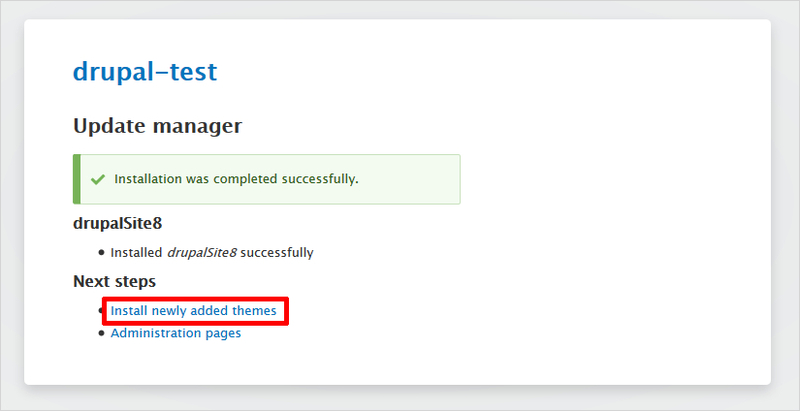 Step 1: The first step is to create a theme folder in Drupal 7 where your theme will reside and a .info file. An Info file tells Drupal about your theme. Create your folder on the /sites/all/themes directory. Create a file named themename.info, inside ‘themename’ folder. 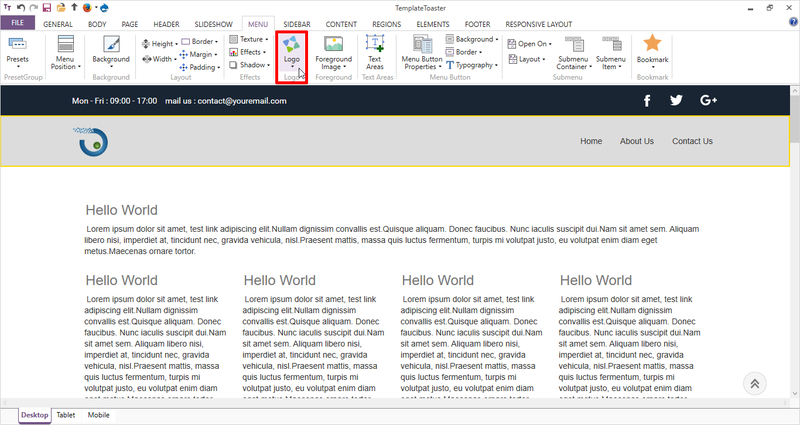 Add site information in it using a text editor like Notepad. * You can add more stylesheets and Js files as per your requirement. 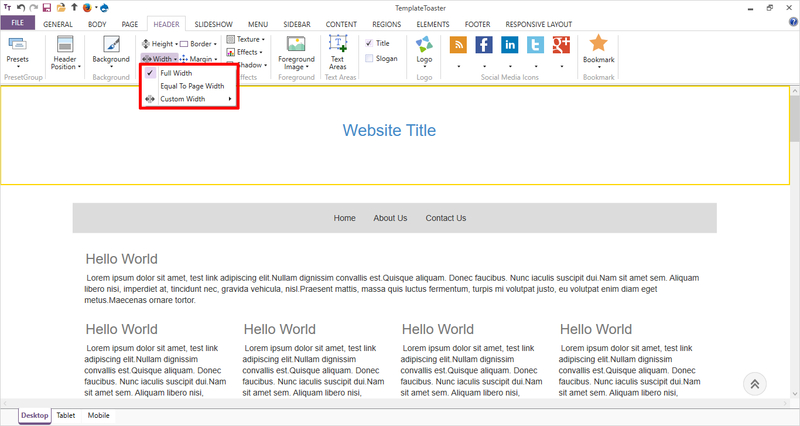 page.tpl.php – For the layout of the whole page. node.tpl.php – For all the ‘nodes’ i.e module positions. block.tpl.php – For all the blocks in whichever region you are placing. 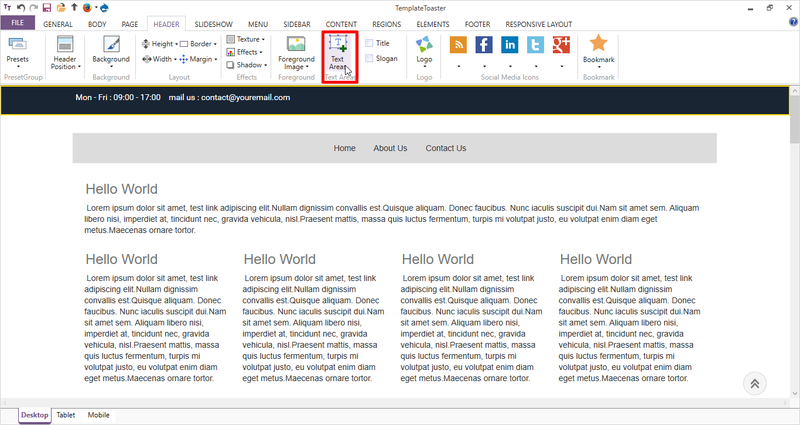 You are ready with your custom Drupal 7 theme!! Once you selected the CMS, you will be asked to go from scratch or with a sample template. You can select ‘Start From Scratch’. 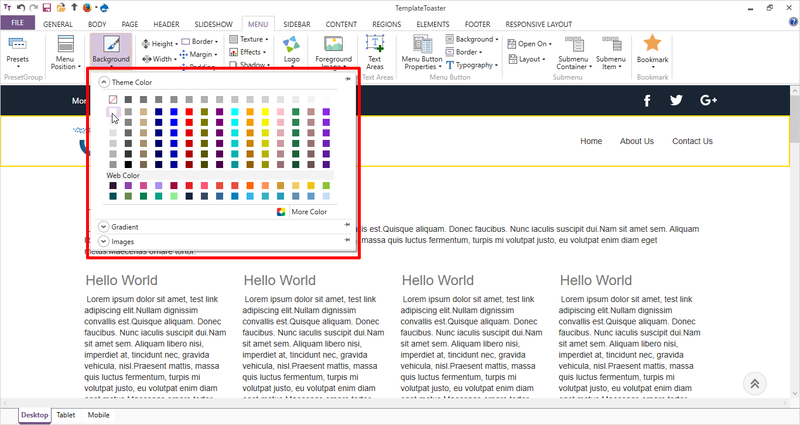 Now, you can select the colour and font typography from the following window and click ‘Start’. 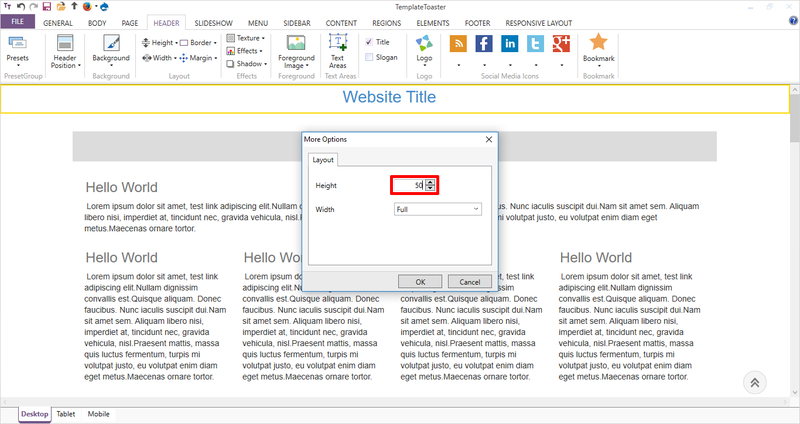 First, you are going to select the layout for your web page. 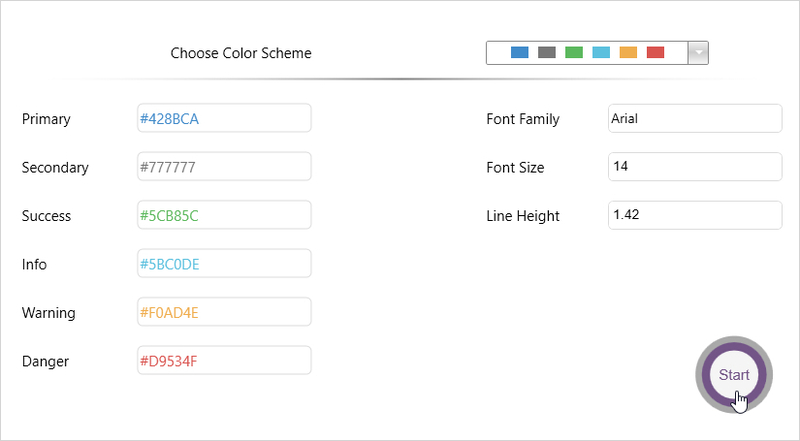 Here, you have a number of options like Single, Double, Triple layouts. You can select any of these according to your design. 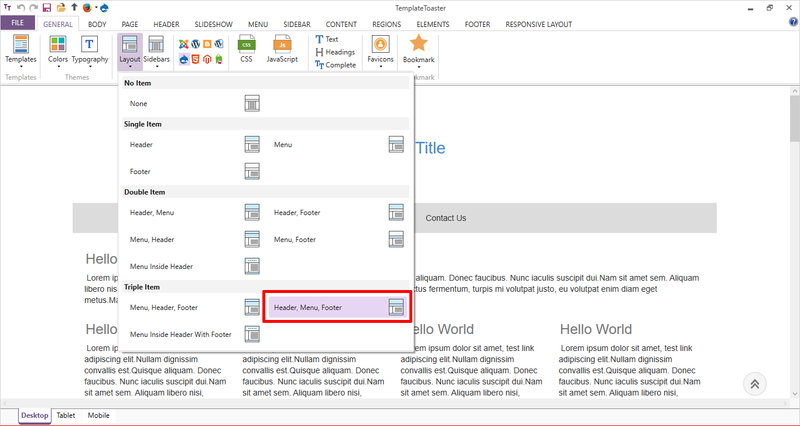 Here, to show all the sections, Triple layout including Menu, Header, Footer is selected. Choose a Background Color for the header from the ‘Background’ option. You can also set a gradient or an image according to your preferences. 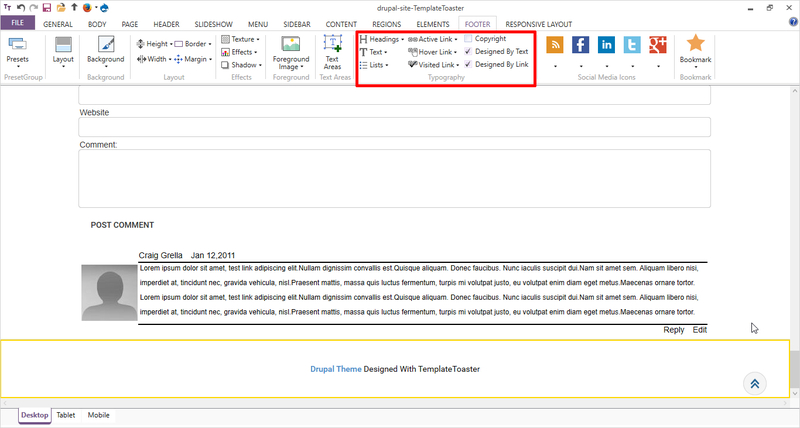 Now remove the Website Title and draw a text area to put the contact details as email id and phone number. 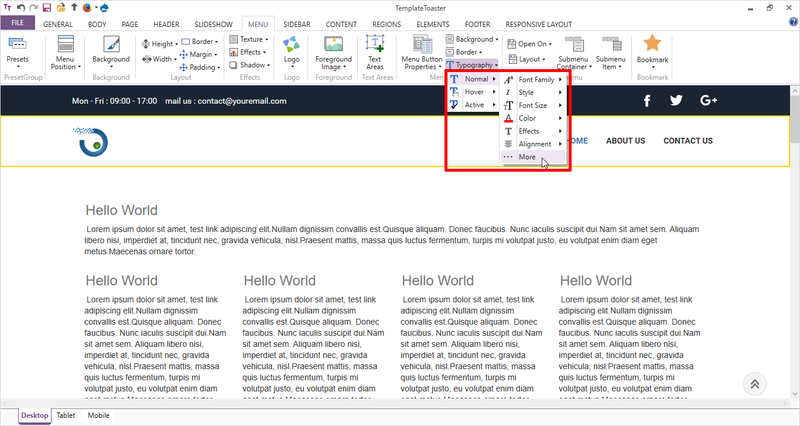 Set the typography of the text as required from the Editor tab that open when you click on the text area drawn. Now, just in the right corner of the header, place the ‘Social Media Icons’ from the given options. You can browse your own custom icons from the browsing option ‘More’. You can also put the Website Title and Slogan if you need as all the options are available here. You completed designing of the Header part. Next section is Menu. Move to the Menu Tab. Make it ‘Full Width’ as shown below. 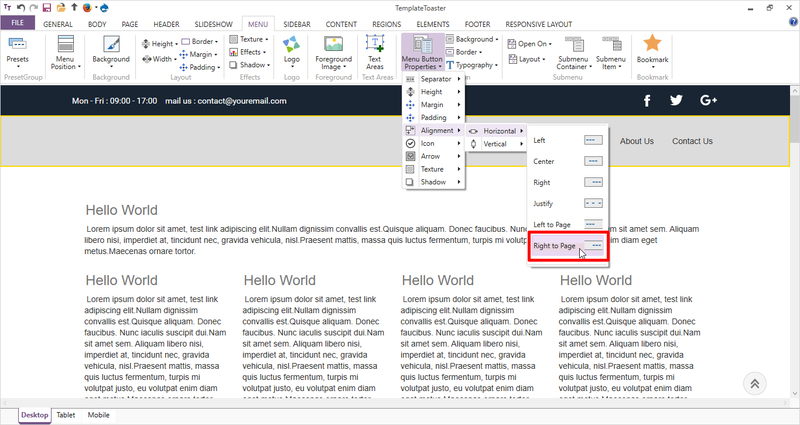 You can also set a custom width or width equal to the page as per your preferences. 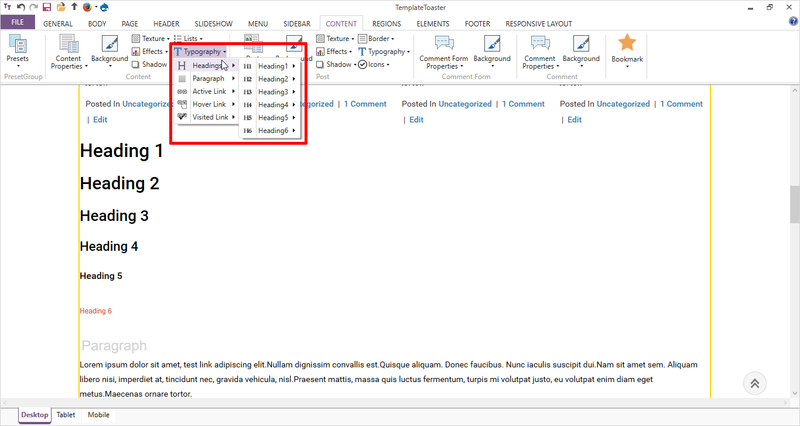 Now, from the Menu Button Properties; move all the menu items to the right of the page. Set a ‘Logo’ from given logo images or browse a custom image for it. Set a ‘Background‘ Color for the menu as shown below. Just check the box of ‘Slide Show’ to show a slideshow. 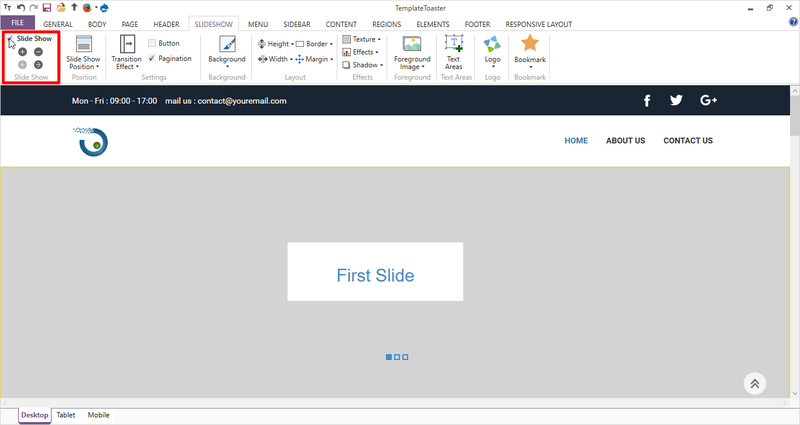 Now, draw a text area on the slideshow to put the content. 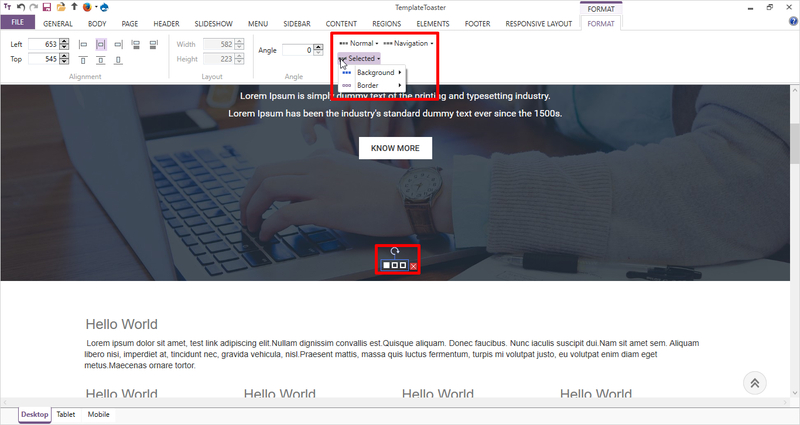 Also, place a button labeling “Know More” that you can style it from ‘Elements Tab’. Finally, style the pagination from ‘Format Tab’ on ‘Selected State’. Now, move to the ‘Body Tab’ and design the ‘Scroll Up’ button. 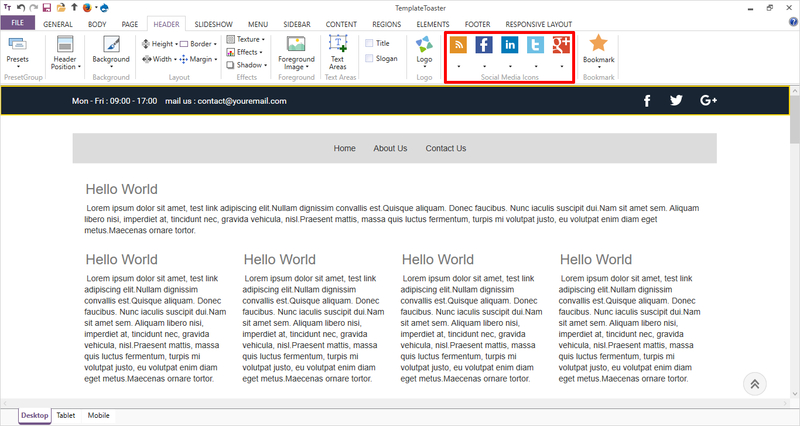 In Footer section, you can put the ‘Designed by Text’ & ‘Designed by Link’ and social media icons if you want. You can also format it by using ‘Format Tab’ that opens when you double-click it. If you want to style more, you can make use of foreground image & text areas too. 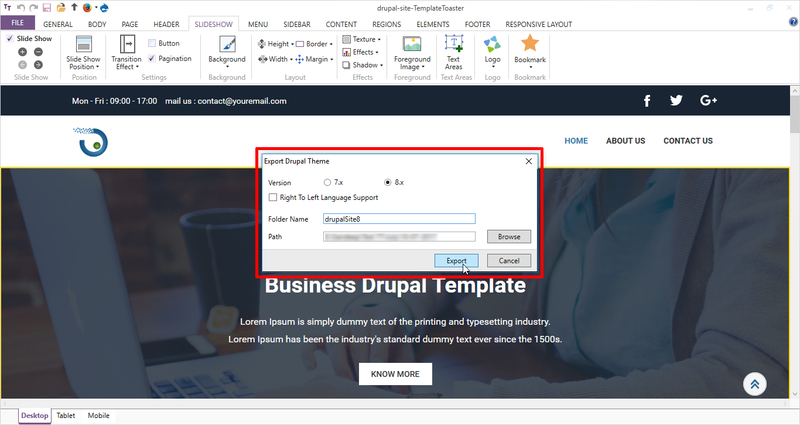 You can create Drupal theme for both Drupal 7 and 8 in the same way as explained above, the only difference lies in exporting. If you already have Drupal, you are ready to go. But if not, you can follow these instructions to Install Drupal 8 and Install Drupal 7. You can upload your theme after exporting it. Compress the theme folder you exported from TemplateToaster into a .zip file. 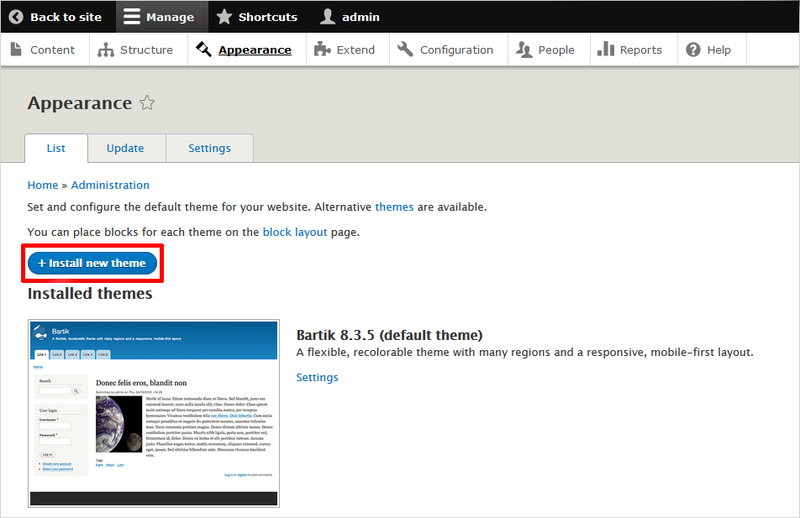 Go to Drupal Dashboard and move to Appearance → Install new theme. 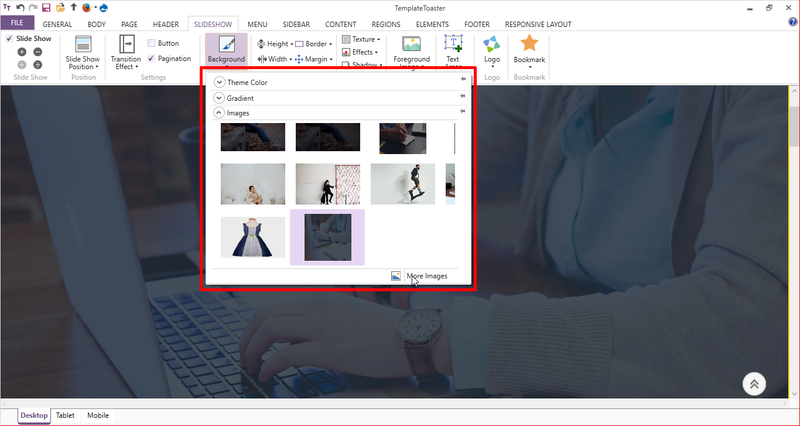 Now, you can browse the compressed file in “File Upload” dialog and open it. You have successfully uploaded and installed your Drupal 8 theme. If you need to upload your Drupal 7 theme. Compress the theme folder you exported from TemplateToaster into a .zip file. 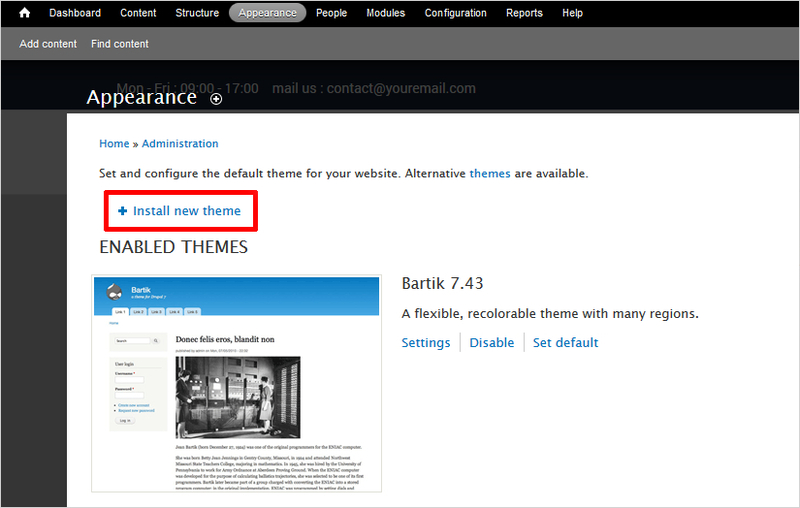 Go to ‘Appearance’ in your dashboard and click ‘Install new theme’. 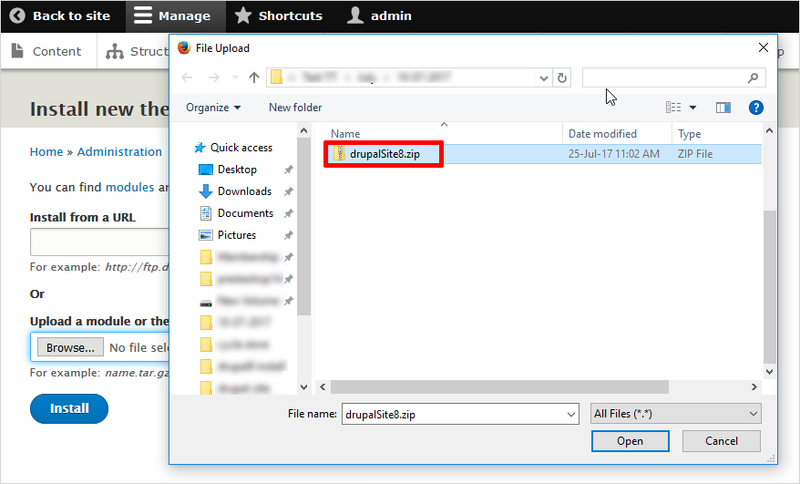 A ‘File Upload’ dialog will open to browse your exported file. Browse and open it. This will install the Drupal 7 theme. Finally, you can see your theme in ‘Enabled Themes’. Drupal is one of the most powerful website building platforms on the internet. While building a theme with Drupal you should have some basic knowledge of PHP, HTML etc. 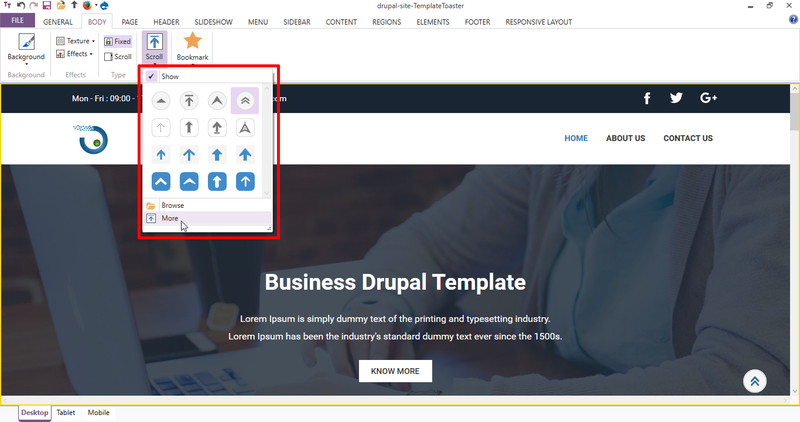 But, with TemplateToaster Drupal Theme Builder you don’t have to worry about coding which allows you to create Drupal themes with ease. 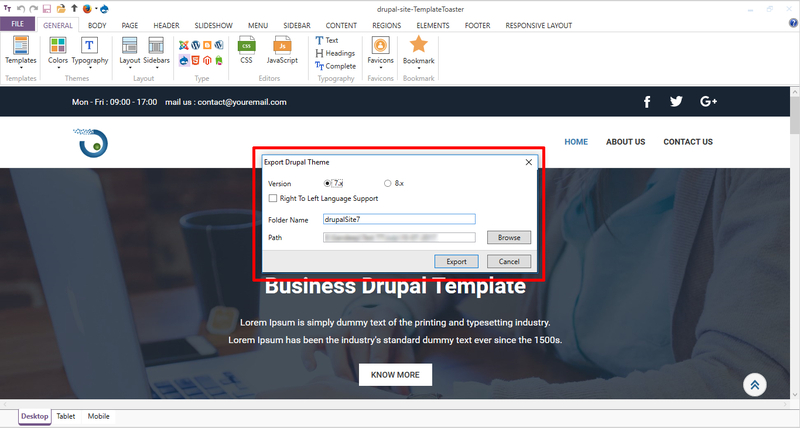 Also, the Drupal themes designed in TemplateToaster website maker are highly responsive making the process smoother. If you have any questions or suggestions, you are always welcome! !